I want to start off by apologizing for the quality of these pictures. I have to be honest when I tell you that I was procrastinating in the packing department, so when it came time to prepare for this post, I was super pressed for time...apologies, y'all! Anyways, I will be spending twelve days in Europe. I'll be in France, Italy, Germany, and Austria; so, when packing, I have to keep all sorts of possible weather encounters in mind! I used a the Longchamp Le Pliage tote bag as my carry on. Be sure to check last week's post for what I packed in that! My mom purchased me this adorable polka-dot suitcase. It's been easy to find so far! Y'all, Europe is so incredible! I can't wait to share all of my adventures with y'all. I also wanted to say a quick thank-you to those that have been following along. Be sure to follow along for the last few days of my travels on Instagram (@asouthernheartblog)! You may have noticed that shoes are not mentioned in this post... but no worries because I have plenty of outfit posts on the way!! Emma, I'm so glad you enjoyed this post! I wish I had spent more than 2 days in Austria, but it was absolutely beautiful. I can't wait to go back!! 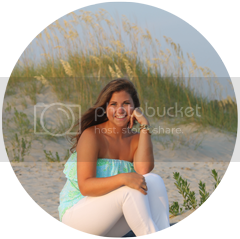 A lover of the Carolina Coast with hopes of sharing her southern heart and charm with the rest of the world.